is a tower defense (TD) type real time strategy (RTS) game for Windows. 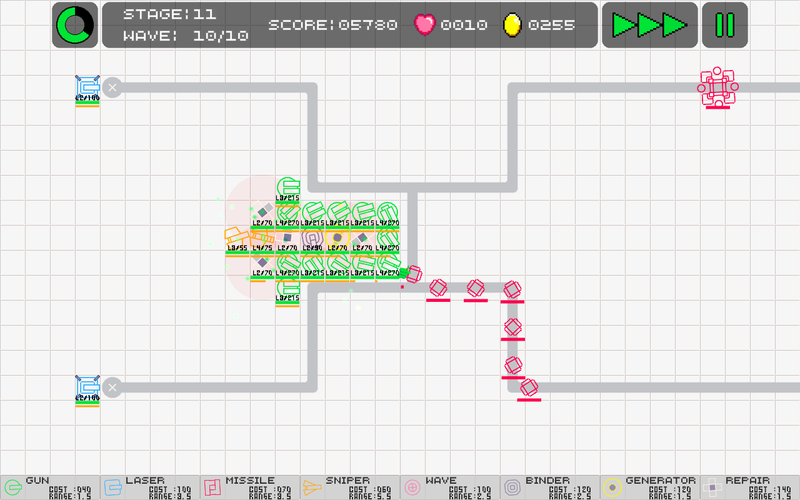 You can download this game for FREE. There is no ending scene & a reward after clearing in this game, so please do not be disappointed. Only mouse operation is supported. But you can use the keyboard for some operations. 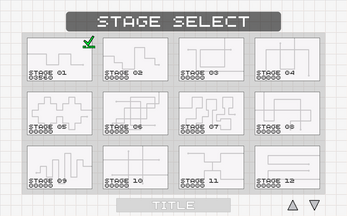 One game is completed in one stage. So you can play one game in a few minutes. 8 types of friend units and 20 types of enemies. Key bindings, GUI layout settings, and SFX volume controls are possible. Very simple & abstract looks. 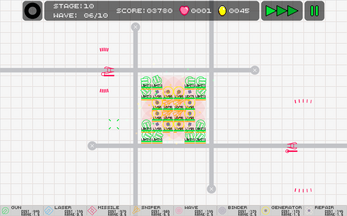 This game is a real-time strategy of the tower defense type. The game progresses in real time. However, you can pause in the game. 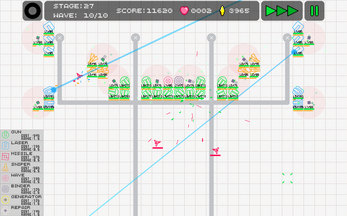 You must defend the goal point from the invading enemies. Each time the enemy reaches the goal point, lives decreases by a specified amount. Game over when life becomes 0. There is no way to recover lives. The amount of lives to be reduced depends on enemy types. You can install a unit in a blank area on the screen as long as golds (possession money) allows it. 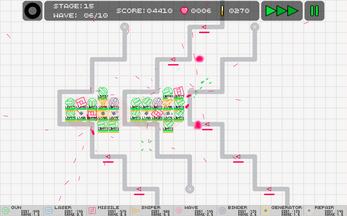 After installing the unit, the unit automatically intercepts the enemies. However, each unit has a different effective range, and attacks are only made against enemies who have entered the range. Also, some units have no ability to attack, temporarily lower enemy’s speed, or have the ability to support other units. When units destroy enemies, your money increases. You can install new units and upgrade existing units by spending money. It is also possible to sell unnecessary units. Clearing the selected stage will end the game at that point. 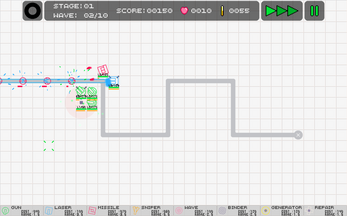 You can not take over the score, life, golds to other stages. 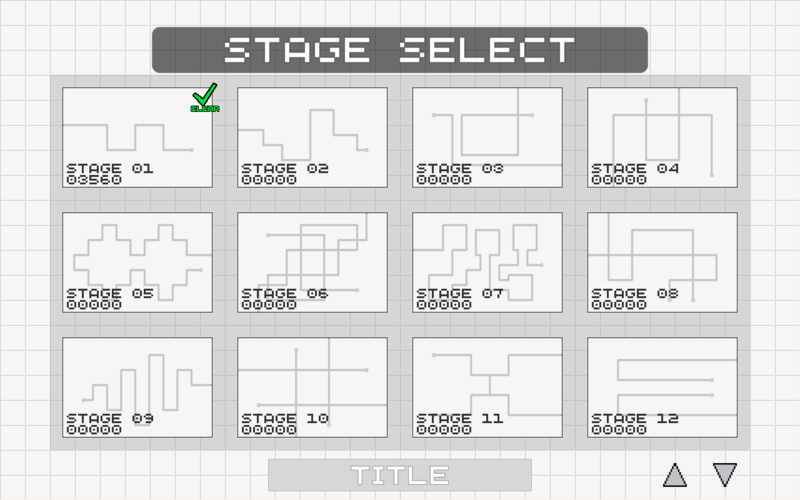 No matter which stage you select at the beginning of the game, the game will end on that stage. There are no restrictions on the stage selection and you can choose any stage you like from scratch. The default keys used in the game are as follows. Disable/Enable rotation of the unit: Click the unit when Upgrade/Sell button is desplayed. If disabled this, lock mark is indicated on the unit. Toggle display of GUI: SPACE key. Toggle display of grid: "G" key. Speed1～3: "1", "2", "3" key. Take screenshot with F12 key. Screenshots will be saved in a specific folder in png format. Toggle fullscreen: ALT + ENTER. It may work in environments other than above conditions, but I cannot check them. Sorry. Unzip the game file in the folder you want. 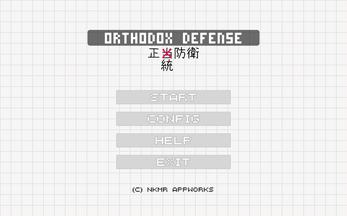 Check that the folder "OthodoxDefense" is made. Congratulations. You completed the mission. Basically, it is done just by deleting game folder. If you want to delete the registry, please read the "readme" text file in the game folder. 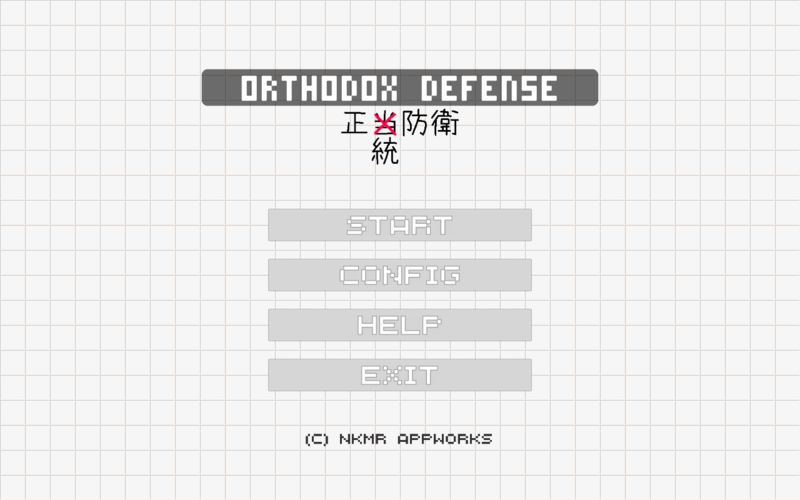 Note: Free font is used for the Japanese part of the title logo, and I do not hold copyright only for the part. For all other materials, codes, & others, I have all rights reserved.